Another 17 wins & 20 nominations. Mushu was animated by director Tony Bancroft's twin brother, Tom Bancroft. Mushu: Man, you are one lucky bug. 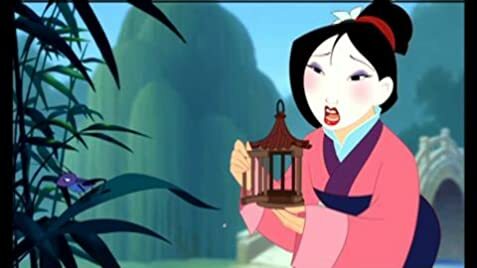 When the remaining Huns emerge from the avalanche (observed by Mulan) and look down from the pass onto the Imperial City, the City is oriented with its front gate facing the pass. Moments later, when Mulan rides off to warn the troops, the Imperial City appears to have rotated, so that the palace is on the left and the front gate on the right. Thank you to the Walt Disney Feature Animation Support Staff and our families. Your patience and dedication bring honor to us all. In at least one showing on ABC, the Grandmother's line of "Would you like to stay forever?" (said from off-screen to Captain Li Shang towards the end of the film) was removed from the soundtrack for some reason.